Enjoy your music and learning as you develop your talents. If you are thinking of investing in a music education for yourself or your child you want it to be the happiest, most productive experience possible. At the McLelland Piano Studio in Hoover, Alabama, students will find an upbeat, rewarding program which will provide the basis for a lifetime of musical understanding and enjoyment. For over 30 years McLelland Piano has helped students of all ages and levels of advancement achieve their goals and dreams as pianists using a wide range of instructional venues. The primary studio overlooks a scenic lake in Hoover, Alabama off of Highway 150 and is convenient to I-459 and I-65 access, shopping, and Galleria and Patton Creek Malls. Lessons are also available in Birmingham, Alabama, Atlanta, Georgia, and worldwide via Skype. The well-equipped primary studio features grand pianos, acoustic uprights, a large reference and music library, numerous teaching aides, and a computer/keyboard lab which is available for self-study prior to or following each private lesson. 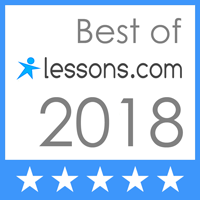 ​Enjoy your lessons with a friendly, professional, and highly qualified teacher. Amy Aberg McLelland is a Nationally Certified Teacher through the Music Teachers National Association and holds bachelor and master degrees in piano performance. An award-winning pianist who is also an active performer, adjudicator, and lecturer, she also received certification at the instructor level with The Golandsky Piano Institute, New York City. Since 1986, McLelland has taught students of all ages and levels of advancement in private studios and colleges including William Carey College, Mississippi College, and other institutions such as the Golandsky Piano Institute’s International Summer Symposiums at Williams College and Princeton University in New Jersey. Past president of the Birmingham Music Teachers Association, McLelland has been a long-standing member and officer in numerous professional organizations. These memberships afford students the opportunity to participate in recitals, festivals, masterclasses, auditions, workshops, and scholarship programs and students who choose to participate in auditions always receive the highest ratings. Through regular private lessons , group classes, special events, performances, and masterclasses with guest teachers and clinicians such as John Bloomfield of New York City, students receive specialized training in piano, theory, sight-reading, ear-training, piano technic, injury prevention, development of performance skills and more. In addition to private lessons, students will enjoy small-group classes which foster fellowship among students and help to build confidence and develop strong performance and listening skills. The classes also provide opportunities for additional instruction in music theory, notation, ear-training, piano literature, music history, and chamber music. Students may also choose to participate in a wide range of special events sponsored by McLelland Piano Studio and local music teachers groups such as The Birmingham Music Teachers Association, Birmingham Metro Music Forum, and the Alabama Music Teachers Association. From the Spring Recital and Awards Ceremony, to workshops, masterclasses with guest artists, summer piano camps, BMTA Sonata Competition, BMMF Certificate of Merit Theory Exam, Alabama Music Teachers Association Auditions, Preschooler's Piano Safari, Adult Students' Lakeside Seminars, students of all ages and levels are afforded an array of special opportunities for motivation and advancement. In addition to performing and teaching, McLelland regularly presents workshops and lectures on many topics with a focus on helping pianists learn the important principles of a healthy, coordinate piano technic. Since 1996, McLelland has pursued intensive post-graduate study of the work of the late internationally renowned pedagogue Dorothy Taubman and important principles of a healthy, ergonomic motion at the piano through private lessons in New York City and Atlanta with Edna Golandsky and John Bloomfield, regular attendance at symposiums and workshops in NYC, Amherst College, Williams College, and Princeton University. In 2011, she received certification at the instructor level with the Golandsky Piano Institute in 2011 and, since 2000, she has served as a P.A. assistant teacher at the Taubman and Golandsky Summer Symposiums. “I’m so proud of you! [Your students] sound great and their hands look wonderful. You’re such a good teacher and fine musician, Amy, and that really comes across. Congratulations to you and [your students] too."